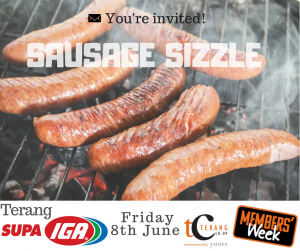 Members’ Week Is Back Again! 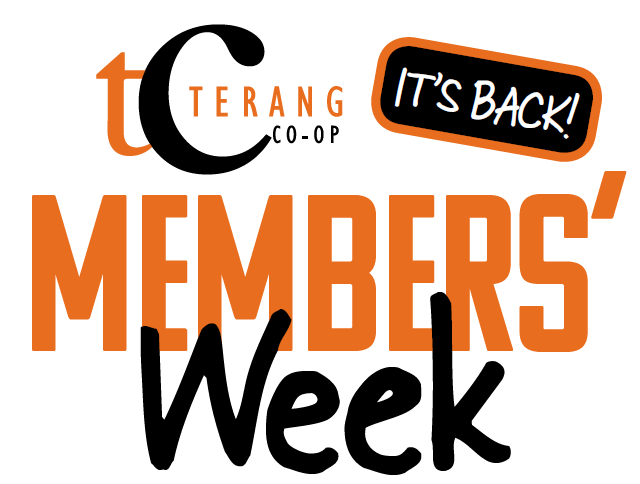 Members’ Week is coming back to the Terang Co-op from 4th-8th June! Each store will be giving away loads of prizes – 5 daily prizes and 1 major prize are up for grabs in each store, with major prizes up to $500 in value! Select stores will also be having events during the week. Plus, all Terang Co-op members will receive double points on all purchases – and triple points on purchases made on Tuesday 5th June. Not a member yet? 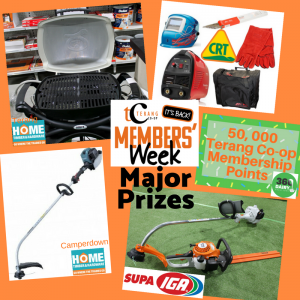 Join up during our Members’ Week event and receive a bonus $10 Co-op voucher, and an entry into our ‘new members’ draw’. Details below for individual store specials and events. 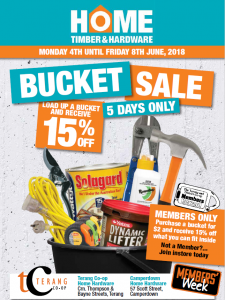 Simply purchase a bucket for $2, and receive 15% off what you can fit inside! 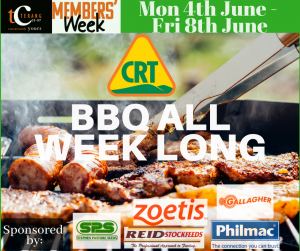 The CRT store will be holding a BBQ every day during our Members’ Week promotion. 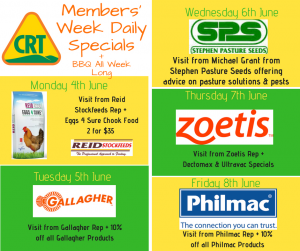 Each day the CRT will host a representative or guest speaker to offer advice and farming solutions – plus there will be special offers and discounts on select stock items, see below. 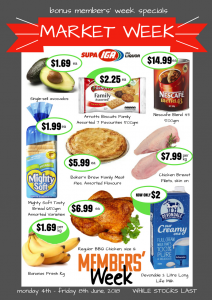 IGA will be holding a bonus ‘Market Week’ sale with red hot specials throughout the store. 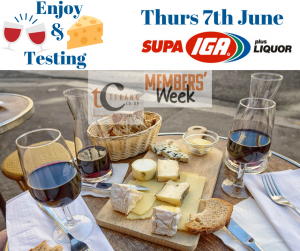 They’ll also be hosting a wine and cheese tasting on Thursday 7th, plus a BBQ on Friday 8th! 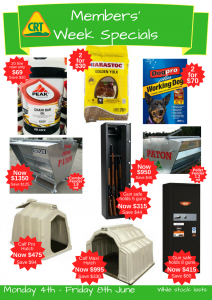 Our Warrnambool and Terang stores will have discounts on certain labour and spare parts throughout Members’ Week, plus specials on iCare! Don’t forget to follow our Facebook page to keep up to date with all our Members’ Week news and events!